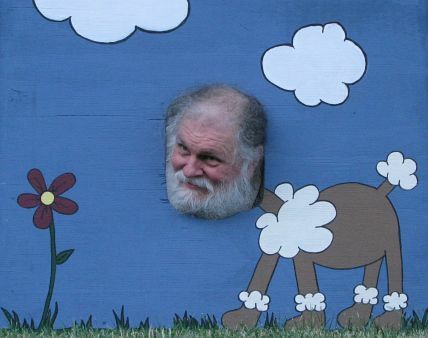 I am 69 years old and live in a small farming town Mason, Michigan (USA). I started playing chess in 1959 and played my first cc tournament, sponsored by Chess Review magazine, in 1964. I played in several Chess Review tournaments (Golden Knights), then switched to CCLA (Correspondence Chess League of America) and then to APCT (American Postal Chess Tournaments). I wrote a column "The Campbell Report" for the APCT News Bulletin for 18 years from 1989 to 2006. Many of my columns are now available on-line at http://correspondencechess.com/campbell/apctcol/apct.htm. I created the original web site for APCT in 1999 and maintained it through 2005, when APCT closed. My earliest ICCF games on record are from 1990 matches USA-West Germany and USA-Australia, though I believe I played in a number of earlier ICCF events. I also created the web site for the Chess Journalists of America (CJA) in 1999 and have served as webmaster for the 12 years since then. I've been active in ICCF-U.S. for a number of years and served as webmaster for the ICCF-U.S. web site approximately 1999-2007. I created the USA and NAPZ archives for games (USA, NAPZ) and crosstables and remain as the archivist. 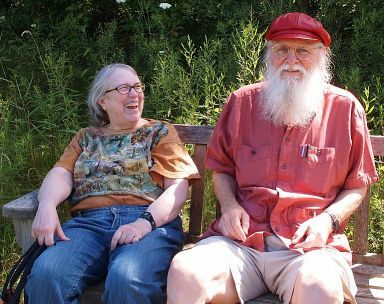 I have maintained my personal chess web site The Campbell Report for ten years, though I haven't been updating it in recent years. 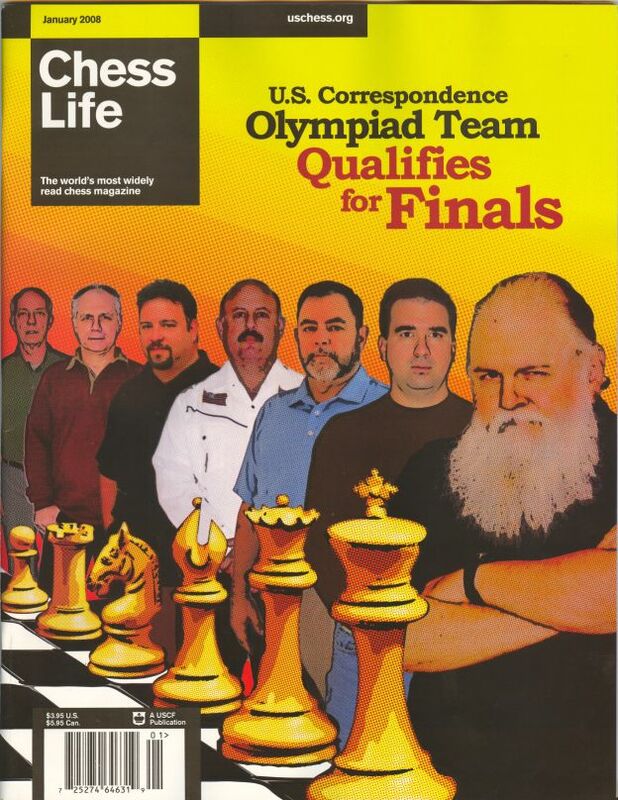 There are still a lot of interesting articles there written by various chess writers/players. When the web site carrying the articles of ChessChick closed I received permission to archive them on my site. I received my International Arbiter title at the 2004 Congress in Mumbai, India and the Silver Bertl von Massow award at the 2009 Congress in Leeds, England. 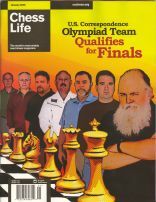 At the right is an image of the cover of the January 2008 Chess Life magazine. I am shown with the USA team which advanced to the Final of the 17th Olympiad by finishing in clear 2nd place. I served as the non-playing team captain. I maintained a team web site to keep the team (and those following our progress) fully informed. The same team is now playing in the Final, but without bringing in a bunch of higher rated players (as is the practice of most teams) we are the lowest rated team without much chance of finishing on the podium. It is great experience for everyone, though. My NFL team is the Detroit Lions. After two really bad seasons (two wins in two seasons, included a record 0-16) and a better record last year (6-10 with four consecutive wins to close the season) I am expected a pretty good season this year with 8-8 or better and at least contending for winning their division.